My name is Noelle Rose Andressen, a professional dancer-choreographer. Getting “brain-block” can be so frustrating especially when you have a deadline. Unfortunately, it happens upon occasion and usually when it’s most inconvenient. 1. Parks – Since my job is movement based, I go to where I can see other people moving like a park and watch kids playing, people walking, animals scurrying, and sometimes climbing a tree and feeling the wind blow and move through the leaves. Other people’s movements inspire me. 2. Viewing – Watching videos on YouTube is an a amazing source of inspiration for the arts. Never copy anyone, but you can certainly gain encouragement from other artist’s work. 3. Museums – Museums are such a fantastic way to take your mind off your blockage and carry you into another artist’s world. When I walk around, I particularly like to look for interactive objects that can be touched. The textures inspire different reactions and movement than what I would come up with in a studio in front of a mirror. 4. Headlines – When I get stuck not knowing what subject to base my dance on, I read the headlines in the news or biographical stories. Each one of us has a story to tell and we can gain such insight into other perspectives. These stories often lead to a subject matter in which to craft a dance piece. 5. Environment – Being in nature. For me the living earth is most inspirational and provides such creativity. I love to eat healthy so strolling through a grove is a wonderful way to satiate and help myself in more ways than one. 6. Hubby – There have been times when I just can’t find the right moves to start a dance. Nothing I try seems right and I find myself pacing across the floor with no inspiration. The last thing I do when all else fails, I ask my husband (who isn’t a dancer), to come up with the first dance phrase. He actually did this for my dance: Red Ribbons which gained critical acclaim and is an audience favorite. Who knew? You may share this article or the video by means of sharing the link or quoting portions of this written expression citing Noelle Rose Andressen as the author. You do not have permission to glean from this content to create your own. If you the reader, should find portions of any of our written, digital, visual, audio expressions in/on other people’s blog, videos, or contect, please notify us immediately. Thank you for all our supporters who have flagged copyright infringement of our content. Copyright 1989-2017 All rights reserved. Thank you for respecting artistic expression and ownership. Volunteerism is a wonderful way to support your community and feel good about helping others. For the past seven years, I’ve been involved with The American Cancer Society promoting wellness, raising funds, helping others through the disease and participating in Relay For Life. I’ve been involved with this community fundraising event for 6 years. My first experience was being on a relay team in Simi Valley. For those who are unfamiliar with Relay for Life, it is a 24-hour event that takes place often times on a track or field. The object: to have at least one person from your team constantly walking around the track. This is symbolic for how cancer doesn’t sleep. It pursues its host 24-hour/7 relentlessly. The sun never goes down for the cancer patient, they’re always experiencing the disease until it is eradicated from their body. It is difficult, it will test you past your abilities, and take you to places in your heart you never dreamed were reachable. 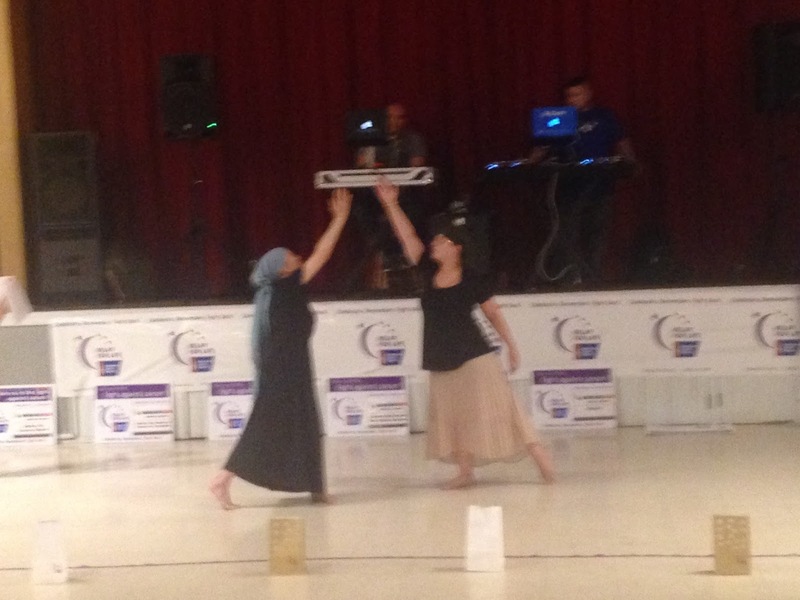 Subsequent years I was a Team Captain and had my own team: Dancers Fighting Cancer. Our team is usually comprised of dancers or lovers of dance. We have a lot of fun and enjoy decorating our table. We did an average job raising funds in the early years and some years we didn’t do as well. Mostly, my fault because I would get so focused on the next step in my volunteerism: Chair Person for the Luminaria Ceremony. At the relay there are sub events within happening during the course of the 24 hours. One of those events is the Luminaria Ceremony. During this ceremony, my team that’s supported by my dance company: Rubans Rouges Dance, produces an hour long program (some years it has been shorter to suit the needs of the relay) to honor the memory of those who lost their lives and to celebrate the lives of those who survived their battle. This is where I really know how to shine and do my best with the gifts given to me. My team and I, utilize the arts that we all have (every year it’s different) and present a heart touching presentation. This year I read from my cancer clinic journal for the second time. It was not as heart-wrenching as the first time, but not by much. The first time I did it was a completely different experience. To prepare I had skimmed through my journal vaguely remembering where certain highlights were and briefly reading it. I didn’t want my reading from it to be stale for the actual presentation. I used sticky notes to flag parts that I knew were important to share. This was an extremely challenging thing for me to do. Often I get asked how do I do what you do? I always say, “Don’t do another version of me, be you.” Then I give them some tips of how to go about finding their place in the world. Interests – What are some things you like to do? Make a list of these things and put them in numerical order of importance or those of greater appeal to you. Research – Take a look at your list. Choose the top three. Find out more about that subject matter. For me it was cancer. I found that there were oodles of fundraising events, clinics, hospitals, etc. that welcomed and needed volunteers. Involvement – After the research is done, carefully decide what will work with your schedule, personality, and commitment capability. Never over extend yourself or let anything interfere with your family time, significant other, or other important prior goals. Some people have more time than others, some are retired and volunteerism is their new “job”. This is great and works for them, make sure you consider and do the same. I shared all of this to show you that it is important to do what moves you. It needs to be something that you feel strongly about. Being a cancer survivor, I knew I was called to do something to encourage others. Now go do what moves you. 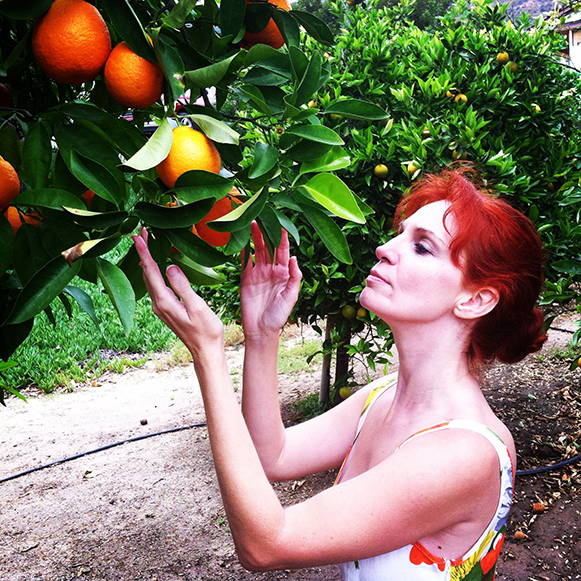 Noelle Andressen is an Emmy nominated writer, producer and music arranger. She has authored the 5 book series: “Dance Warrior” Book Series. The first book is set to be released very soon. She is also a dancer-choreographer that has had the privilege of being photographed by legendary dance photographer Lois Greenfield (photo release 2016). She’s known for her many works on camera as an actress and behind the lens as a story-teller with her screenplays. She took this skill and applied it to her dance company: Rubans Rouges Dance and creates thought provoking “Dance Drama” that beckons you to “Feel the Experience” (TM/slogan mark). There is a guilt that brings about death and a guilt that leads to freedom. However, false guilt can be the cruelest of all; neither having been earned by deed or alleviated by repentance. You must heal from the past so you can have a future. I should have been satisfied with surviving cancer. I was not. This was a deep wounding. This was going to take a lot of “soul work” to heal from. I had to heal from my past so I could have a future. I have had several occurrences in my life where this notion would be put to the test. One was from the child abuse I suffered from and the other from my cancer ordeal. We had to sell our home because we didn’t have medical insurance. We were not on a film project, we were not employed at that time. This was an example of bad timing on many angles and only the gods of mercy could divinely guide and sooth as we made life changing decisions that would alter our family forever. My stomach bottomed out often reflecting upon this decision to save my life: money from selling our home to provide a hopeful life saving treatment. I was dealing with false guilt even ten years after we sold our home. Security – I had to know that I was surrounded by people that were on my team to support me through the healing process. They had to be mentally healthy and strong morally to lift me upon during my down times. Soft Place to Fall – You’ve heard this term in psychology and in beautiful sentiments on cards and other writings. This “Soft Place”, needed to be something that allowed me to get out my emotions without fear of judgement. Serenity – I had to have my quiet time to reflect and tell myself that I wasn’t selfish for fighting for my life. The resolution to this is that for the most part I am healed, but healing is like an onion with many layers. When one layer is revealed and healed, often times there are others. I cannot say I am completely guilt-free from false-guilt, but I am further along than I was and have set the foundation and groundwork to know that our family collectively made the right decision to save my life. It is a grand achievement to reach your goals. In my particular case or in the case of my dance company, we have reached our eighth season. For dance companies this is a great accomplishment. It is very challenging to get past your first season with difficulties of finding venues, funding, dancers, crew, and all that it entails. Gathering up the strength in the first place to do it is cause for celebration alone. My Board and I know many companies that didn’t get off the ground in their first year and it’s tragic and breaks my heart. This is one reason why we support new but professional artists for our “Awakenings & Beginnings Dance Festival” (Official TradeMark). It’s vital to extend the gift of a performance space/venue to others. We also produce other companies and youth in a show called: MOSAIC (Official TradeMark). A fun way to look at this: Dog Years. It used to be said that for every one year of a dog’s life, it is equivalent to 7 human years. While that isn’t completely accurate (dogs age much quicker than humans and it’s much more complex to find an equivalent), however, for the sake of discussion let’s use that analogy. I think for a dance company, or any company, it’s fair to say that it’s about a half more. So for 8 years, add 4 more so you have about 12 years. I say it’s about an additional half because of the maturing process and life stages any business or company goes through. When you start a company it has its birth, infancy, toddler- hood, pre-teen, teen, young adult, adult, mature adult, etc. phases that it passes through. I cover more of this in depth in my book and lay out a diagram but you can get the gist of it here. This is not the rule of thumb but an estimation based on my comparison to other businesses, my businesses, and the structure of each business. I balanced that with industry and average years of life for those companies and I came up with this general formula. For businesses, if you can make it past year five or even sometimes year six, (I call this the post teen years) then you’ve achieved something incredible–the hardest points of development are behind you and at this point you’ve got it. You created something wonderful. It’s not that you won’t have hurdles come your way, and it’s not that you won’t have more development, but the arduous task of laying down the ground work is already done and you have a formula or sort of chemistry to implement your growth into adulthood and further maturity. I can attest to all of this, having been a very successful business woman and career woman in various arts and corporate ventures. Just a quick shout out to my colleague and friend Amanda Hart for achieving 10 years for her dance company and festival. She supported us while we were in embryo and gave us a place to perform and share our art. We love you Babe! There are so many businesses and companies that have passed this mark and congratulations to them all. Don’t give up! And definitely don’t give up before you’ve started. Our Artistic Director, Noelle Andressen, prepares for the release of a series of new and re-issued inspirational books. 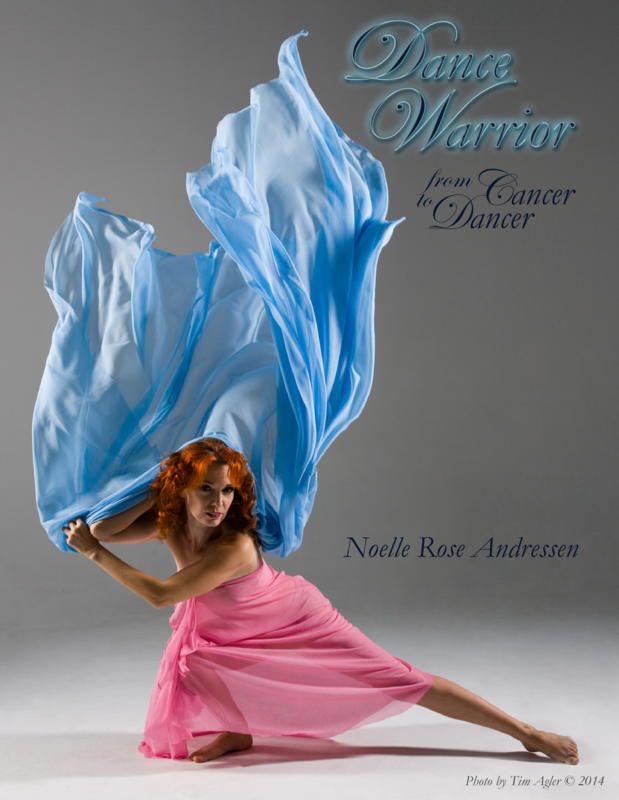 The first one in the series “Dance Warrior” from Cancer to Dancer. Each book shares how she battled against the hurdles, heartbreaks, and hindrances to shine and show there are things and people worth fighting for. 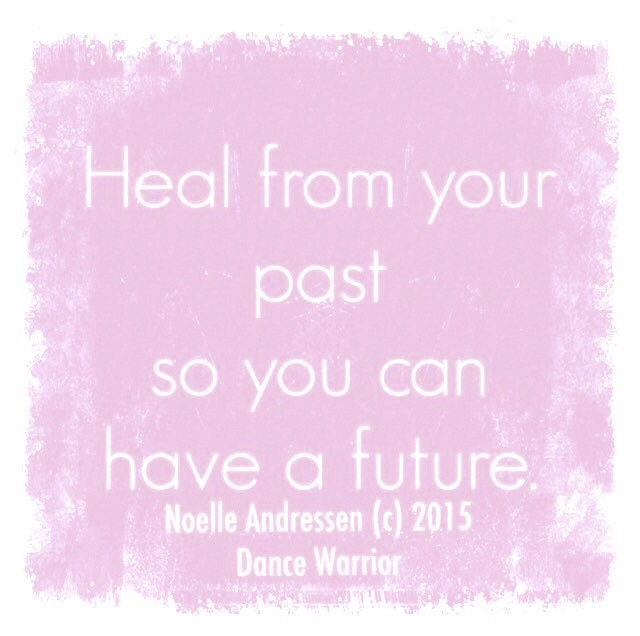 She courageously reveals her scars to show that you too can heal, have HOPE and find the inner dance warrior in you. “I am overwhelmed by the beautiful vulnerability in this book by Noelle Andressen. Somehow I am able to relate to every word she writes. Noelle shows us that real strength comes from a conviction deep inside and the ability to appreciate the gifts she has been given in the face of all the odds against her following her dream. This book is a guaranteed inspiration.” Alan Mercer, photographer to celebrities and stars. “Rich and inviting. A movement revolution with words.” Sheila Garduna, writer. Many thanks to Tim Agler for his gorgeous photography on the cover. Thank you to the editors. Thank Mr Alan Mercer and Ms Garduna for your feedback, support, and guidance. Stay plugged in for more details and reviews. This book will be available in select stores and online. Photo Tim Alger 2014. Book copyright 2015. Noelle Andressen, Artistic Director of Rubans Rouges Dance graced the Red Carpet for the VIP Reception for “Awakenings & Beginnings Dance Festival 2016” on January 23rd in a classy Terani Couture design. This elegant design was a perfect match for a dancer and creative director for the festival. The media and promotions for this festival went national this year and reached thousands. Thanking all our sponsors and supporters. Be sure to check out the latest information on our website: RubansRougesDance.com for “Awakenings & Beginnings Dance Festival 2017”. Check out Terani Couture’s social media pages. Rubans Rouges (roo ‘bon rooj), French for Red Ribbons founded in 2009 by dancer and choreographer: Noelle Rose Andressen. READ BELOW about how the company was named. 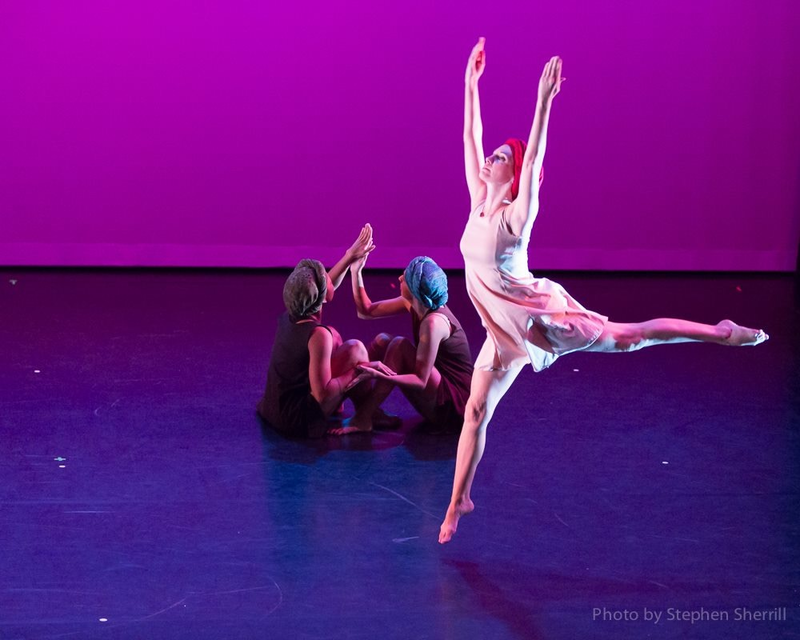 Noelle merged her two artistic passions: dance & film on stage and screen with her contemporary modern dance company to develop a breakthrough piece: “Shattered Innocence (Red Ribbons)”. From there she has developed dance performance pieces with passion and theatrical artistry that explore the human condition through narrative story lines. The spirit of Rubans Rouges can be seen in the lavish use of provocative lighting schemes, costume design and the artistic applications of scenery and props. The desire is to have dance pieces of high artistic value, and also be entirely accessible and enjoyable to the audience. Mission: To have each audience member connect on several different levels to these creations; the mind to understand the intent, the heart to feel the depths of the emotional content, and the soul to be ennobled to new enriching heights of creativity. Highly supportive of helping other artists and reciprocating to further share performance venues in a non-competitive atmosphere that cultivates community and camaraderie internationally. Based in NYC, LA, and Europe.